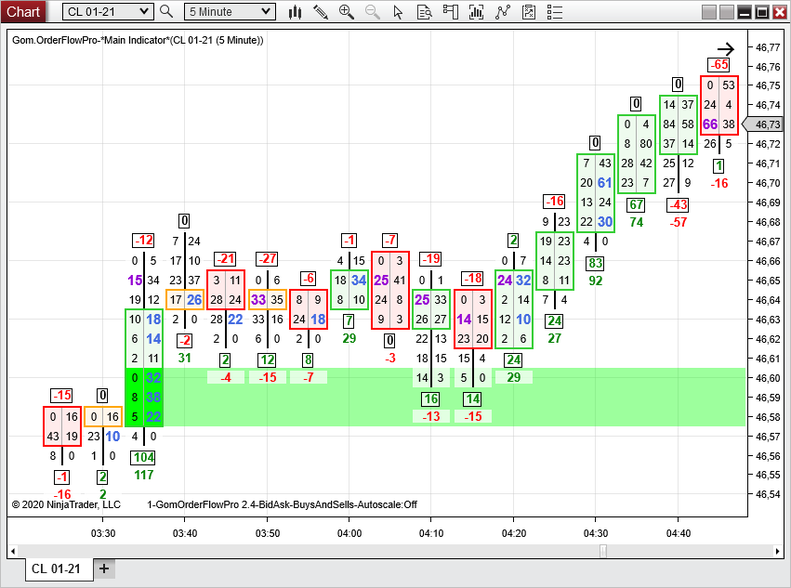 GomOrderflowPro displays candle data internals : sells, buys, delta and associated calculations ; it computes buy/sell imbalances and builds associated S/R zones. Plots are available for building strategies or populating Market Analyzer with the calculated data. The file used to read ticks is determined by the DeltaCalculation setting. The indicator will use the NinjaTrader integrated files, no more recording is necessary. However, the data series must be in ""Tick Replay" mode. Added tick aggregation for low liquidity instruments with a small tick size like Nifty. Corrected a bug where imbalances wouldn't obey the "show" setting. 1.2 Corrected a bug in the plotting of historical S/R zones.